Griffin missed the Pistons' final regular-season game against the New York Knicks — a game Detroit won to clinch the final Eastern Conference playoff spot. 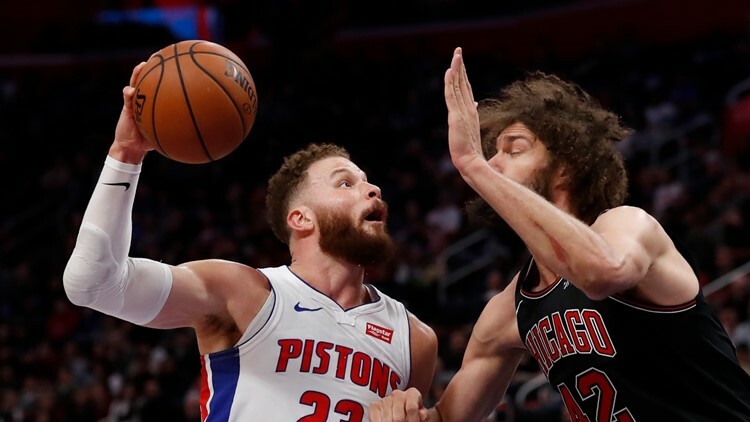 MILWAUKEE — Detroit Pistons forward Blake Griffin will not play in Game 1 of the team's first-round playoff series against Milwaukee because of a left knee injury, coach Dwane Casey said. "It's one of those things that's day-to-day and still available but just too sore to go (in Game 1)," Casey said Sunday. Griffin missed the Pistons' final regular-season game against the New York Knicks — a game Detroit won to clinch the final Eastern Conference playoff spot. He also missed three other games late in the season due to his knee injury. "He's one of the guys who has been through a playoff series a few times when he was with the Clippers," Casey said. "There's a lot that you just can't put a finger on."